After a short beta test in Thailand and Australia, Facebook Messenger will now begin showing brand advertisements in Messenger’s main inbox tab. Facebook is slowly beginning to roll out these targeted ads globally with the company anticipating to have them appear on all users’ accounts by the end of 2017. In late November 2016 Facebook warned that it was nearing the maximum limit of ads that it can show in its News Feed. 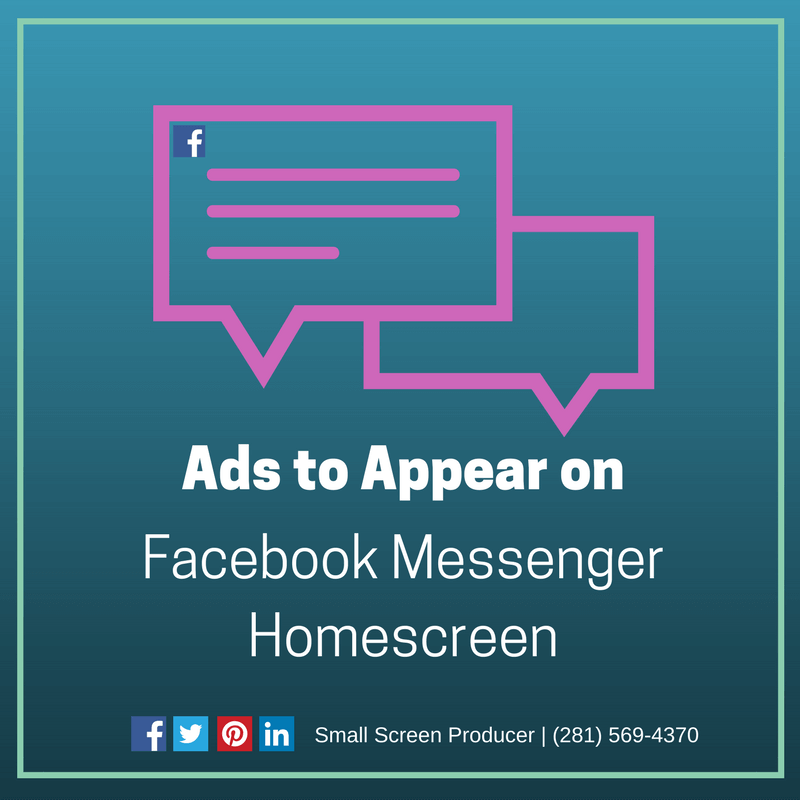 By offering ad space in Messenger, the company can double the number of ad spaces available to brands. Facebook Messenger has been used as ad space prior to this latest roll out. For a while now the social media network has been trying to encourage businesses to create their own chat “bots” that can speak directly with their customers. Businesses can also send sponsored messages to any user that has messaged them previously. What do you think would be more effective: A fantastic ad in front of the wrong crowd? Or a sub-par ad shared with the right target market? It’s very likely that your mediocre ad in front of the right people is going to have a greater impact. The lesson: do your market research before sinking time and money in ad creation. It will open you up to a wider audience and give you the greatest return on investment. As awesome as you may think your product is, there are going to be others out there who are just not interested. Targeting an audience that is too broad will not only lead to lackluster results, but it can actually damage your brand reputation. Seeing the outcome of a marketing campaign is a waiting game. You may feel as if you are losing money and not getting results, but the fact of the matter is that advertising on Facebook or in any other form takes time and patience. Wait for some substantial data to roll in before making any tweaks and changes to your campaign. Small Screen Producer knows what it takes to get results. From Facebook Messenger ads to content marketing and video production, we offer a suite of services that allow brands to promote their brand their way. To speak with a digital media marketing expert today, we invite you to call (281) 569-4370.